Today, the Argentine banking sector is well-established, and expats will find that they can open up a bank account in pesos or dollars, as long as they can present the required identification documents. 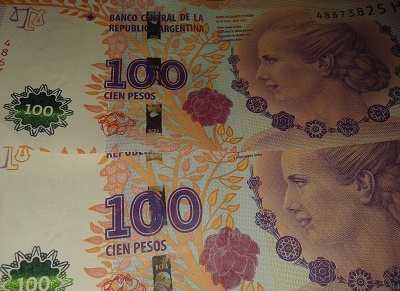 The currency in Argentina is the peso which is denoted as AR$. The peso is further divided into 100 centavos. Peso notes in circulation are in a denomination of AR$ 2, 5, 10, 20, 50 and 100 and coins are of 1, 5, 10, 25 and 50 centavos and 1 peso. Look for the water mark and the metal strip on currency notes as there is a lot of counterfeit money in circulation. Expats who wish to exchange currency in Argentina will find that there exchange booths are widely available. Known as casas de cambio, these money exchange booths can be found mainly in tourist areas. Currency Exchange services that can save you a lot on fees and hidden costs. Regular salary remittance or one time transfers. There are no general guidelines for opening a bank account in the country. Each bank has its own requirements. Whenever you visit a bank to open a bank account ask them about their requirements. It is likely that the requirements requested from the bank you have chosen to open an account in will include your Documento Nacional de Identidad (DNI), a valid passport, your CUIT number (business tax code) and you CUIL number (personal tax code) as well as your AFIP (social security number). You may opt for a savings account (cuenta de ahorros) or current (US: checking) account (cuenta corriente). Another option is opening both a savings account and current (US: checking) account. You may open an account in Argentina pesos (AR$) and in US Dollars (US$). Bank maintenance costs will also have to be considered, although the costs vary from bank to bank. While it is possible for foreigners to open a bank account in Argentina, it is recommended that internet banking services be used as it is quick, easy, and convenient. With internet banking, expats will not need to spend time in long queues that are often found in Argentine banks. When looking for expat banking services, expats will find HSBC to be helpful, as it offers accounts (HSBC expat) with a multitude of services designed for expats such as multicurrency products, dual currency investments and online money transfers. Other banks that offer expat-oriented facilities include Citibank, which has personalized services available for 24 hours and Santander, which features offshore accounts. The most common banks in the country include the Banco de La Nacion Argentina, the Banco de Cuyo, Santander, Citibank and HSBC. Banks are usually open for business from 10:00 till 15:00 (depending on cities and seasons) and are closed on Saturday and Sunday. Most ATMs are open round the clock every day of the week. Most banks have introduced internet banking known as Banca para el hogar, this makes it possible for people to do most of their banking online. Banks like HSBC provide offshore banking services, and those looking for these services could check with international banks in their country before moving to Argentina to confirm whether the facility is available. Money transfers through the internet are possible and take up to 10 minutes with commissions being as high as 7-10%. In Argentina, internet banking has made money transfers quick and efficient. However international transfers could involve delay you will need to check with your bank. Visa, MasterCard, Credencial, Carta Franca and Cabal are five credit cards that can be issued by different institutions without an exclusive relationship with the issuing institution. However Diners and American Express are two credit cards that have an exclusive relationship with the issuing institutions and may be accepted in less retail outlets as a form of payment. At a regional level in the country there are several more credit card options available. Debit cards in the country are generally issued by international brands such as Visa with Electron or MasterCard with Maestro and function through the ATM networks of Banelco and Link in Argentina. You do not have to pay any additional charges to apply for a debit card that permits use of ATM's and other expected operations such as making payments at retail outlets, pharmacies and gas stations. Other cards may attract additional charges. To secure a mortgage the average Argentinean requires a minimum net income required of around AR$ 1500/month and should not be older than 75 years on the estimated date of complete payback. In order to be eligible to secure a mortgage, a foreign national should have spent at least one year working legally in Argentina. Banks also consider your profession and usually look for people who have continuously worked with the same company for 2-3 years. Though banks offer mortgages for different periods at different rates of interest and different requirements, the periods generally are 5, 8, 10, 12, 15 and 20 years. The rate of interest is around 7.5 - 11% for loans up to ten years while loans with duration of more than ten years attract 9 - 12% interest. Short term loans have lower income requirements than mortgages, but the amount remains high. To qualify for any loan up till 36 months an average income of AR$ 1000/month per person and AR$ 1,200/month for married couples is necessary. Mortgages for purchase of new real estate, renovation or expansion and building one’s own houses are also available.